Ruby Ford, a 26-year-old homemaker, died on April 1, 1934, 11 days after an abortion committed on March 20 "at the combination bachelor dwelling and office" of Dr. Guy E. Brewer, a beloved philanthropist in the small town of Graber, Oklahoma. So popular was Brewer that the husband of one of his six abortion victims was fired from his job in retaliation for reporting the death to the police. Brewer had graduated from the University of Louisville in 1906 and had been practicing medicine in Garber for 21 of the 29 years he had been a physician. He supported young men during their university studies, maintaining houses for them to live in. Those he had educated over the years rushed immediately to his defense. Though Brewer had spent many long years helping boys and young men, his impact on women's lives was evidently lightning-fast. Hermoine Fowler, a 20-year-old coed, died in June of 1934, nine days after an abortion perpetrated by Brewer. Doris Jones, a 20-year-old mother of two, died in April of 1935. Wanda Lee Gray, age 20, Myrtle Rose, age 21, and Elizabeth Shaw, 23, of Roxanna. Brewer entered guilty pleas and was sentenced to six four-year sentences, to run concurrently, for the six abortion deaths. On March 29, 1921, 57-year-old Dr. Simeon B. Minden performed an abortion in his New York City office on 32-year-old Mrs. Catherine Riga. Catherine died three days later at Lincoln Hospital. It took only two days for his trial, which ended in a conviction. Minden collapsed upon hearing the verdict. Minden was granted a new trial on May 18, 1922, and was pardoned by the governor after serving one year and four months of a 2.5 to 10-year sentence in Sing-Sing on December 12, 1924. On April 1, 1911, 23-year-old Chicago homemaker Annie Murphy died from an abortion perpetrated by a midwife (or possibly obstetrician) named Carolina Adams. Adams, age about 63, was held by the Coroner's Jury but the case never went to trial. On the morning of April 1, 1904, a body was hastily shipped from Old Orchard Sanitarium, aka Eastman's Women Sanitarium, run by Dr. Charles A Eastman. A death certificate was filed in the town clerk's office by Eastman stating that the deceased was 24-year-old Edith McIntyre, a schoolteacher from Boothbay Harbor, Maine. She had died at the sanitarium at 3:00 that morning. The body, Eastman said, had been shipped on the early train of that day to Boothbay Harbor in charge of Edith's brother, Capt. 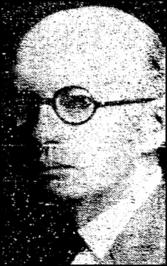 Albert McIntyre. The cause of the death was given as gastritis resulting from the taking of oxalic acid salts by the deceased sometime in February. Edith had been at the sanitarium for two weeks. This all seemed a tad fishy, so the case was quickly referred to county attorney George L Emery, who examined the documents then hurried off to Boothbay Harbor to speak with Edith's brother. Emery learned that Edith had been buried early on Saturday, April 2, and that no viewing of the body by family or friends had been permitted. Edith's body was exhumed for an autopsy, which revealed that she had died from a criminal abortion. Eastman, realizing that the authorities were on to him, fled his sanitarium by the time Emery got back to question him. Eastman was traced to Lowell, MA, where he was arrested. He was arraigned on a murder charge, to which he plead not guilty. The prosecution presented evidence that Eastman had performed an abortion on Edith some time in March, and that she developed septicemia and died as a result. Eastman's defense argued that Edith had just miscarried and died from a bad gastric reaction to the oxalic acid salts she had been taken. Since oxalic acid is a toxin found naturally occurring in many plants, Eastman seemed to be arguing that Edith had taken the salts as a self-abortion attempt in February, prior to coming to his sanitarium. John Morrill, who had arrested Eastman, presented letters written by Eastman to his wife while he was a fugitive, along with letters from Edith's brother. Expert testimony was presented by two doctors, Alfred King of Portland and George Gregory of Boothbay Harbor. On July 12, the jury returned a verdict of guilty of manslaughter.